The Eibach Adjustable Lowering Springs are perfect for levelling out a rear heavy camper conversion whilst also lowering the vehicle. There are 2 kits available the sport comfort kit which gives approx 25-45mm of drop and the low kit which gives approx 50-60mm drop. The rear springs come with an adjuster so you can fine tune the rear spring height to make your van sit level. This is perfect for those that have a full camper conversion with rock n roll bed and cupboards, or those that have heavy kit and racking in a work van. 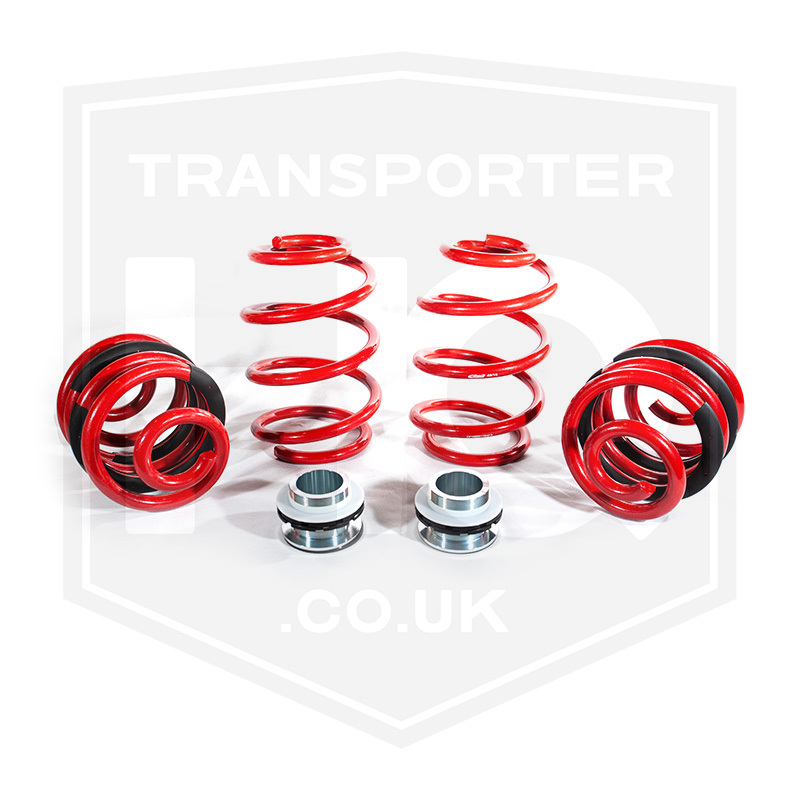 This kit has been designed by Eibach Germany specifically for VW Transporter T5 and T6s. The springs work with your standard shocks and are fully TÜV certified. Suitable for all models of T5 and T6 including 4motion. Drop may vary slightly depending on weight of vehicle or whether T30 or T32 model.